KARACHI: Sindh Rangers on Wednesday arrested 10 wanted criminals and recovered arms, drugs and other looted valuables during separate search operations in the metropolis. The Rangers spokesperson said that the paramilitary troops conducted operations against the outlaws in Zaman Town, Bahdurabad and Awami Colony areas of Karachi. 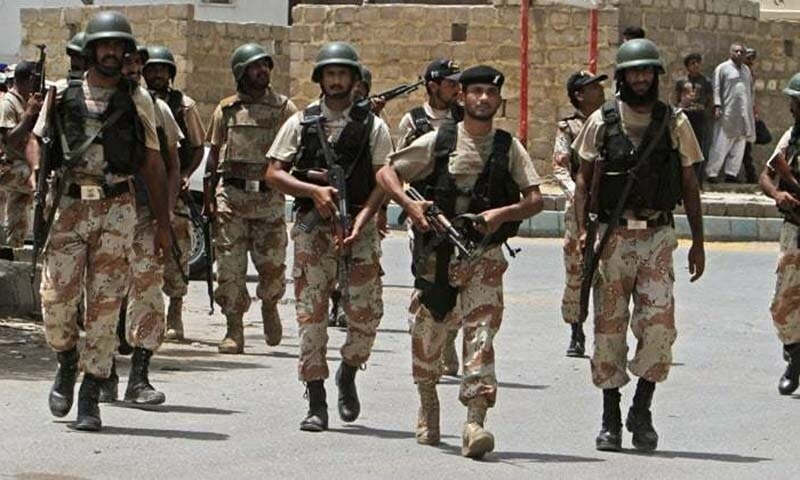 During separate actions, the Rangers arrested 10 criminals wanted in several cases of collecting extortion money, kidnapping for ransom, street and other crimes. Arms, drugs and looted valuables were recovered from the possession of the detainees who are being interrogated by the law enforcement agencies.